Developing Xamarin.Forms applications for Android requires Visual Studio. The requirements page contains more information about the pre-requisites. Platform-specifics allow you to consume functionality that's only available on a specific platform, without implementing custom renderers or effects. Controlling the Z-order of visual elements to determine drawing order. For more information, see VisualElement Elevation on Android. Disabling legacy color mode on a supported VisualElement. For more information, see VisualElement Legacy Color Mode on Android. Using the default padding and shadow values of Android buttons. For more information, see Button Padding and Shadows on Android. Setting the input method editor options for the soft keyboard for an Entry. For more information, see Entry Input Method Editor Options on Android. Enabling a drop shadow on a ImageButton. For more information, see ImageButton Drop Shadows on Android. 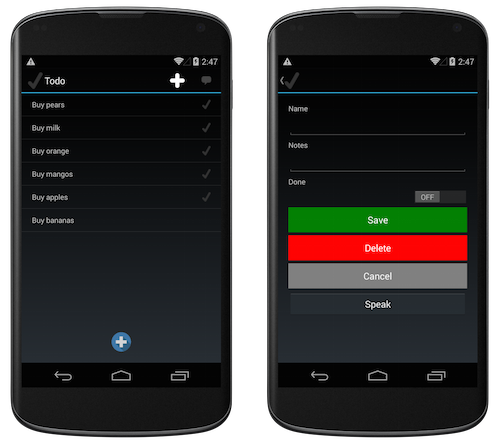 Enabling fast scrolling in a ListView For more information, see ListView Fast Scrolling on Android. Controlling whether a WebView can display mixed content. For more information, see WebView Mixed Content on Android. Setting the height of the navigation bar on a NavigationPage. For more information, see NavigationPage Bar Height on Android. Disabling transition animations when navigating through pages in a TabbedPage. For more information, see TabbedPage Page Transition Animations on Android. Enabling swiping between pages in a TabbedPage. For more information, see TabbedPage Page Swiping on Android. Setting the toolbar placement and color on a TabbedPage. For more information, see TabbedPage Toolbar Placement and Color on Android. Setting the operating mode of a soft keyboard. For more information, see Soft Keyboard Input Mode on Android. Disabling the Disappearing and Appearing page lifecycle events on pause and resume respectively, for applications that use AppCompat. For more information, see Page Lifecycle Events on Android. 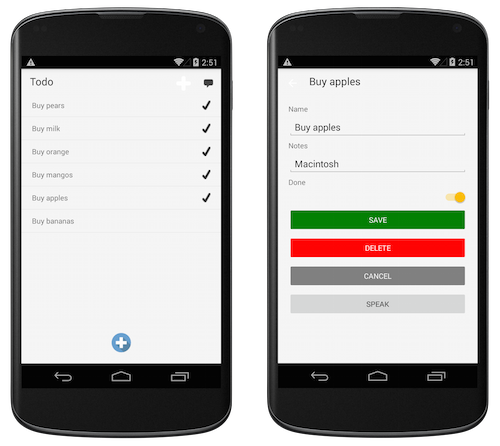 Originally, the default Xamarin.Forms Android project used an older style of control rendering that was common prior to Android 5.0. Applications built using the template have FormsApplicationActivity as the base class of their main activity. Xamarin.Forms Android projects now use FormsAppCompatActivity as the base class of their main activity. This class uses AppCompat features provided by Android to implement Material Design themes. When using FormsAppCompatActivity, the base classes for some Android custom renderers will be different.